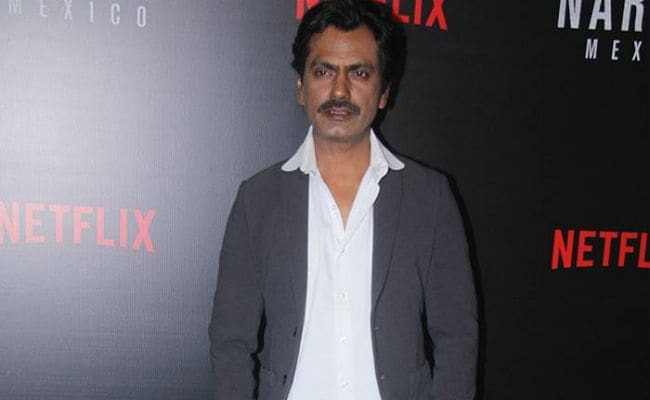 Actor Nawazuddin Siddiqui, who stars as Saadat Haasan Manto in Manto – an Indian film that is not getting released in Pakistan, says society continues to remain stubborn in its reluctance to accept the bitter truth. As the film has not got the green light for release, writers, activists and journalists got together last week to protest in different cities of Pakistan. “Yes, like the way there were few liberal-minded people – writers, authors and intellectuals stood by him – in the present time, a few people have also stood by the film. But all of us are really in the minority, you know,” he added. When asked if it is quite a pessimistic thought, the actor promptly responded: “No, no, don’t get me wrong. I want to add that those few liberal-minded people are the reason why the world is still a nice place to live in. They are the hope that drives all of us to work with conviction and stand strong for the truth. The film Manto, a biopic on Manto, released in India in September last year. It features Rasika Dugal, Divya Dutta, Paresh Rawal and Rishi Kapoor. Manto travelled to several international film festivals like Cannes and Toronto, but did not fare well at the Indian box office. “Initially, when the film released in India, since we did not get a good number of screens and audience reach, I was upset. Later when the film released digitally and the response started pouring in, I was glad that the film got a great shelf life on Netflix, and we did a good job. We gained confidence,” said the actor, who is determined to be part of such stories in future. “Few stories are so compelling that when a filmmaker is ready to tell the unadulterated version of it on the big screen, as an actor you feel excited to do such a film. Of course, Manto was one of such project and I will be doing such films in coming days,” said Nawazuddin, who will next be seen in Thackeray as late Shiv Sena supremo Balasaheb Thackeray.